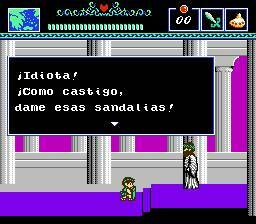 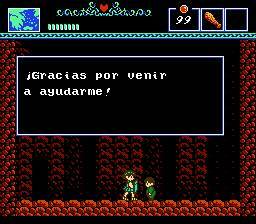 Spanish localization for The Battle of Olympus, most of the text in the game has been fully localized, the remaining text in mainly the credits and the game’s name in the title screen. 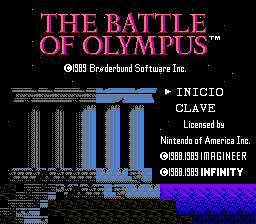 Tilde and special punctuation symbols were added thanks to abw’s “The Battle of Olympus (de)compression suite” that allowed the author to insert the modified font into the rom. 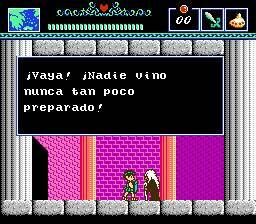 There’s a graphical glitch in the password screen where the arrows used to move the cursor are corrupted but it is a minor problem.